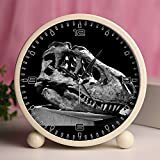 Tarbosaurus was a carnivore (meat-eater) that lived in Asia during the late Cretaceous period, about 68 to 65 million years ago. It was one of the dinosaurs that died out in the Cretaceous-Tertiary extinction 65 million years ago. Tarbosaurus was about 30 to 40 feet (9 to 12 meters) long and weighed 4 to 5 tons. Tarbosaurus is closely related to Tyrannosaurus Rex, and there is some debate among scientists about exactly how close, and about exactly how Tarbosaurus should be classified. The creature was first described by Evegeny Maleev in 1955 using fossils recovered in a Soviet Mongolian expedition of 1948. The name Tarbosaurus means "terror lizard". Asian Dinosaurs - Tarbosaurus lived in Asia. Tarbosaurus was a genus of dinosaur. 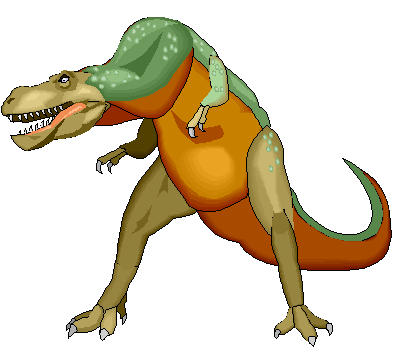 Tarbosaurus was a member of the Saurischia ("lizard-hipped") order of dinosaurs. What this means, is that although Tarbosaurus was not closely related to lizards, it did have similarly shaped pelvic bones. Tarbosaurus was a Theropod - a member of a group of related bipedal dinosaurs that included the ancestors of birds (although Tarbosaurus was not itself an ancestor of birds). Tarbosaurus lived between about 68 million years ago and 65 million years ago, during the late Cretaceous period. Tarbosaurus was one of the dinosaurs which died out during the Cretaceous-Tertiary mass extinction at the end of the Mesozoic Era. Tarbosaurus was a carnivore (meat-eater). Tarbosaurus was about 30 feet (9 meters) to 40 feet (12 meters) long. Tarbosaurus weighed about 4 or 5 tons. Everyone can draw and so can you, no previous knowledge is needed. 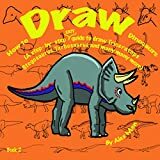 The drawing book will show you how to draw these interesting dinosaurs; Triceratops, Stegosaurus, Tarbosaurus and many more, step by step. The pages don't contain text, and suitable for children who don't know how to read yet, but are eager to draw by themselves. Recommended for kindergarten and up. Enjoy. Written and illustrated by acclaimed dinosaur expert Gregory Paul, this stunningly beautiful book includes detailed species accounts of all the major dinosaur groups as well as nearly 700 color and black-and-white images―skeletal drawings, "life" studies, scenic views, and other illustrations that depict the full range of dinosaurs, from small feathered creatures to whale-sized supersauropods. Paul's extensively revised introduction delves into dinosaur history and biology, the extinction of nonavian dinosaurs, the origin of birds, and the history of dinosaur paleontology, as well as giving a taste of what it might be like to travel back in time to the era when dinosaurs roamed the earth. Describes the physical characteristics and probable behavior of this beaked dinosaur, which lived in the area now called the Gobi Desert. Best choice to give your friends and lovers as a gift! 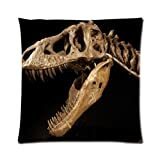 This fashionable Ying-shop decorative pillowcase/pillow sham is made of quality 50% cotton, 50% polyester, it's machine washable, well printed in 2 sides,colorfast and shrink-proof It's one piece, if you want a pair, please buy22 pieces of pillow case/th?? ? ¡ã ? 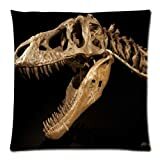 This fashionable Ying-shop decorative pillowcase/pillow sham is made of quality 50% cotton, 50% polyester, it's machine washable, well printed in 2 sides,colorfast and shrink-proof It's one piece, if you want a pair, please buy12 pieces of pillow case/th?? ? ¡ã ? The greatest wonder that nature ever produced…Dinosaurs! Episode 8 is the tale of a family of the armored dinosaur, the Ankylosaurs. 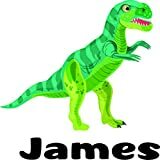 What could the father's ace up his tail be in order to defeat the enormous carnivorous dinosaur? CollectA's replica of the Tarbosaurus is lifelike down to its bumpy hide and the bony ridge on its snout. First discovered in the Asia's Gobi Desert, the fossil remains of Tarbosaurus resembled those of the Tyrannosaurus, which has been found only in North America. Further study has indicated that the two carnivorous dinosaurs are not part of the same genus. The Tarbosaurus lived in the Late Cretaceous Period, 70 - 65 million years ago. 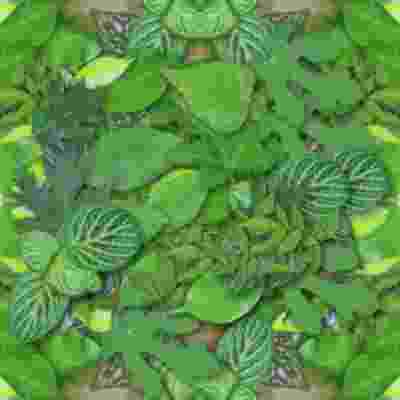 It grew to be approximately 40 feet in length and could weigh as much as 5 tons. This beautifully sculpted, collectible figure from our Prehistoric Life Collection measures 6.5''L x 2.8''H. Each figure in our Prehistoric Life Collection has been approved by archeologist Anthony Beeson, a well-respected expert in paleoimagery. All CollectA models are individually hand crafted to the highest standards and made with the finest and safest phthalate-free, lead-free materials. Create a natural world in miniature with high quality toy replicas from CollectA. Our mission is to educate collectors and to provide the greatest opportunity for creative play. FloZ is a figure toy workshop located in Southern China. 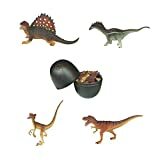 They focus on Animals and Dinosaurs figure.They have some fair price and fine enough dinosaurs figures,over 20 types so far. Some of them are very good replacement of the big brand (like Schleich or Papo ). Enjoy! Note?This figure made with toxiless PVC. This large tyrannosaurus rex dinosaur toy is 5 inches high and 12 inches long. It will provide hours of fun for your child or the perfect piece for avid collectors. Each piece is individually hand painted,environmental PVC materia. 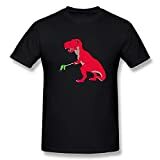 When it comes to dinosaurs you need to look no further. This Jurassic wonder is the t-rex king of the pre-historic jungle world ( look out raptor ). When it comes to completing your figure or figurine set this is the model to obtain. The positive is that it has a place in the world of figurines or toys and is bound to satisfy every recipient from child to adult - boys or girls - men or women. 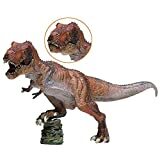 Good choice for small dinosaur-loving toy collectors wanting to add a predator to their playset or the older more mature prehistoric admiring mini statue connoisseur. With a moving lower jaw and a solid construction this age old jumbo lizard of long ago will not disappoint. A surefire addition for discovery bucket lists & gift ideas when a trip to the Smithsonian isn't possible. 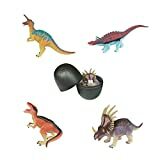 This Dinosaur mask is made from natural latex, environmental and non-toxic.Can last for long-time use. Great accessory to any costumer for a theater, play, opera, costumer party, masquerade themed even, prom, and Halloween. Excellent for dress up with this cool halloween mask, you will become the focus in the crowd. Great accessory to any costumer for a theater, play, opera, costumer party, masquerade themed even, prom, and other special events. Type: Tyrannosaurus Rex, Triceratops, Tarbosaurus. ** All pictures in this ad DO NOT represent the ACTUAL size of the Decal please read the size on the page title, all wall decal sizes are in inches ** The color for this wall decal is the color/colors shown in sample picture (As Seen). If you want a different color other than whats shown please email us at the time you place your order. YOUR DECAL WILL BE SHIPPED "AS SEEN" UNLESS YOU EMAIL US WITH YOUR COLOR CHOICE.. THIS WILL NEED TO BE SENT TO US AT THE SAME TIME YOU PLACE YOUR ORDER. WE SHIP VERY FAST AND NEED YOUR COLOR CHOICE AT THE SAME TIME YOU ORDER OR YOU WILL RECEIVE THE DECAL AS SEEN !!! Multicolored decals can only be made "as seen" like the image and can not be changed into other colors. Plan one color decals are available in black, white, red, burgundy, dark brown, orange, yellow, lime green, kelly green, dark green, teal, baby blue, medium blue, dark blue, lilac, pink, hot pink, gray, silver, gold, purple and lavender Can be applied to any hard surface...walls, mirrors, doors, or any other surface you can think of ! Easy to install. Installation instructions included. This product will be delivered in a sturdy shipping tube.